Two of the longest title streaks in Monmouth County history were extended within 24 hours of each other, and both belong to Christian Brothers Academy. 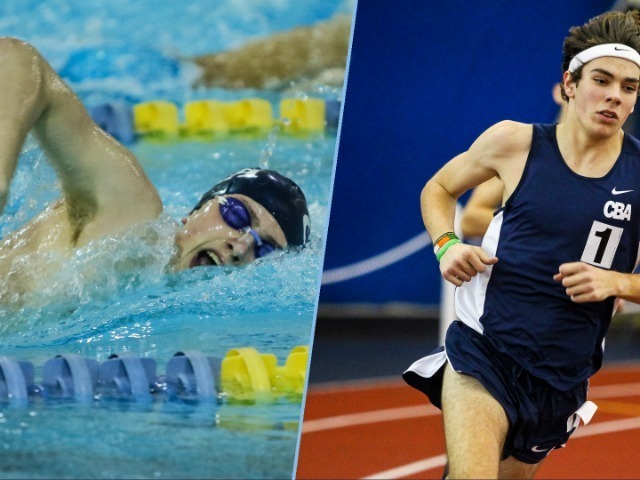 On Friday night, it was CBA Indoor Track winning their 9th straight and 27th overall County Championship, while CBA Swimming secured their 28th straight and overall title on Saturday afternoon. Colts Track was led by three event wins in the 800m, 4x400m relay, and the shot put. Junior Tim McInerney was responsible for the 800m win, running the race in one minute and 57 seconds for his career-best indoor time. Ethan Arce, Andrew Canale, Rafael Coppola and Kyle Foltz composed the 4x400m winning team. Senior Dan Mead continued to anchor the field team with a shot put throw of 57-8. CBA took second in two events, sophomore Troy Hill in the 3200m race and Canale in the 400m dash. The Monmouth County overall win comes less than a week after the team was victorious at the Monmouth County Relays. CBA won the Distance Medley Relay (DMR) and 4x200m at the Relays. Meanwhile in the pool, CBA Swimming won seven of 10 events at their County Championship. Paul Retterer (200 freestyle & 100 backstroke), Dimitri Maldonado (100 butterfly) and Sammy Rennard (500 freestyle) all took individual victories for CBA. In team relays, Christian Brothers won the 200yd medley, 200yd freestyle, and 400yd freestyle. Rennard (200 freestyle), Maldonado (200 medley) and Connor Wright (100 backstroke) each took runner-up in individual events as well. Indoor Track will now look forward to the state relay meet next Thursday, while Swimming will face NJ #1 Bridgewater-Raritan on Thursday in a dual meet.